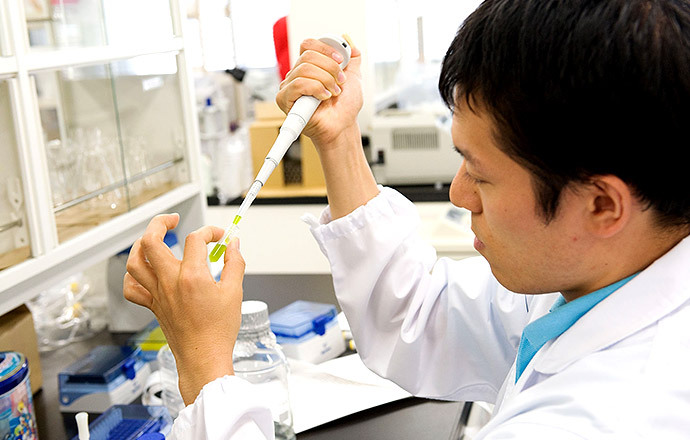 Keio University is home to a diverse range of research centers and facilities that operate in a research environment that transcends traditional academic boundaries. Many of these centers and institutes are run independently of Keio’s undergraduate faculties and graduate schools, and their unique research continues to garner attention both within and outside of Japan. Additionally, a variety of advanced interdisciplinary research initiatives are conducted within the various Keio Advanced Research Centers (KARC). The Accounting Research and Education Center, which is affiliated to the Faculty of Business and Commerce, plans and hosts many instructive events such as guidance, lectures, and visits to auditing firms for Keio students aiming to become or who may aim to become accounting professionals (certified public accountants and licensed tax accountants). The Center for Integrated Medical Research stands at the center of Keio's biomedical research activity. The Center for Integrated Medical Research is involved in the development of a wide range of integrated studies, with the goal of passing on the results to the rest of society. 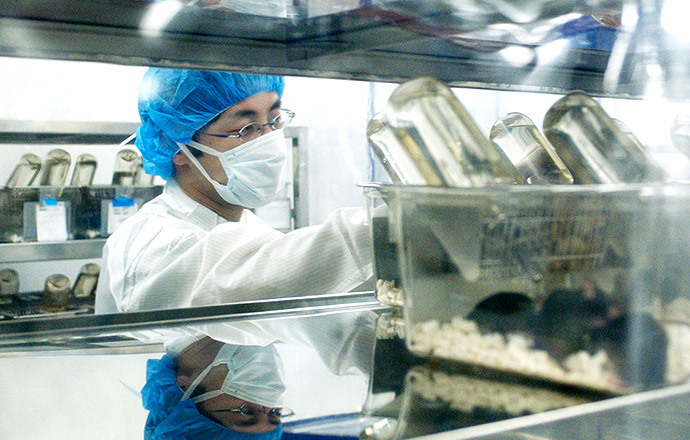 The Research Park lends out space for fixed-term research projects, and is a hub for strategic, integrated research units, drawing from multiple discipline pairs: basic and clinical, undergraduate and graduate, academic and industrial, institutional and national. The core basic/clinical medicine classes promote advanced genetics and strategic cell science research. 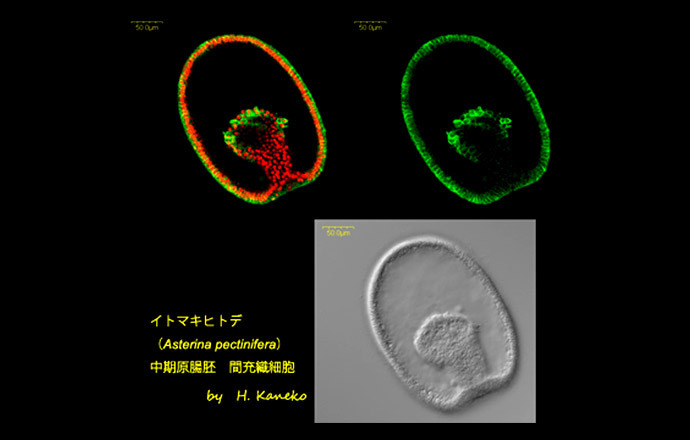 This is all supported by cutting-edge facilities and professional staff, operating under the umbrella of the shared research/collaboration hub Keio-Med Open Access Facility. This center provides students from around the world the opportunity to learn not only the Japanese language, but also Japanese customs and culture. 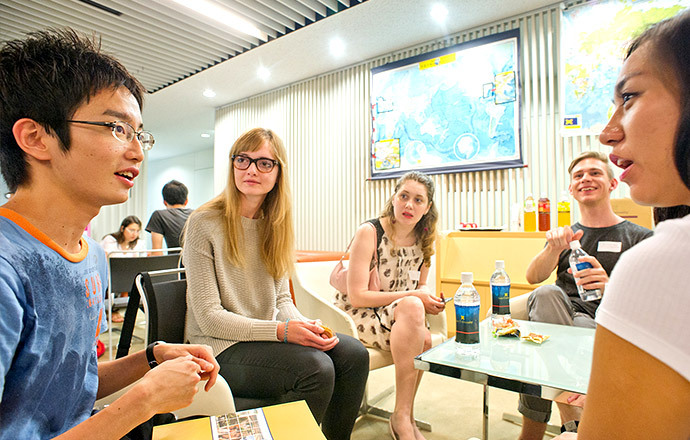 For regular undergraduate and graduate students who are not native speakers of Japanese, a Japanese as a Foreign Language program is available. One of its main goals is to encourage and improve upon the teaching of Japanese by cultivating the next generation of Japanese language teachers. Program capacity is 180 students each academic year. Although numbers may vary from semester to semester, the average class size is around 20 students. 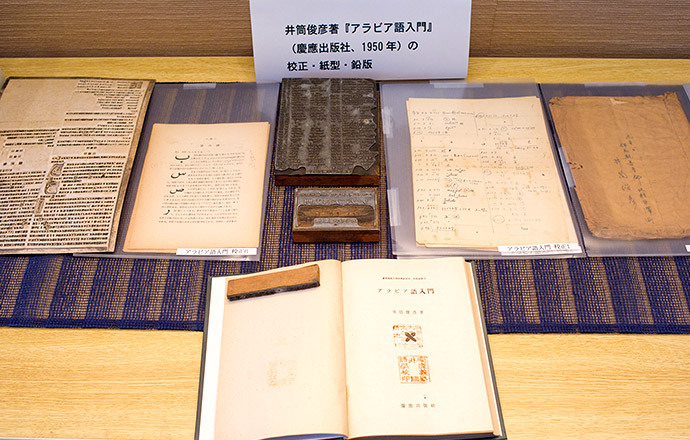 Founded in 1983 as a commemorative project for the 125th anniversary of Keio University, the Fukuzawa Memorial Center for Modern Japanese Studies houses and maintains a substantial collection of documents and historical materials related to founder Yukichi Fukuzawa and Keio University. The institute’s aims also include conducting research on the activities and achievements of Keio alumni who were disciples of Fukuzawa furthering the study of modern Japan and Keio University’s role in the development of Japan in the modern era. The center also emphasizes educational activities, such as courses for students and lectures and seminars for members of the general public. 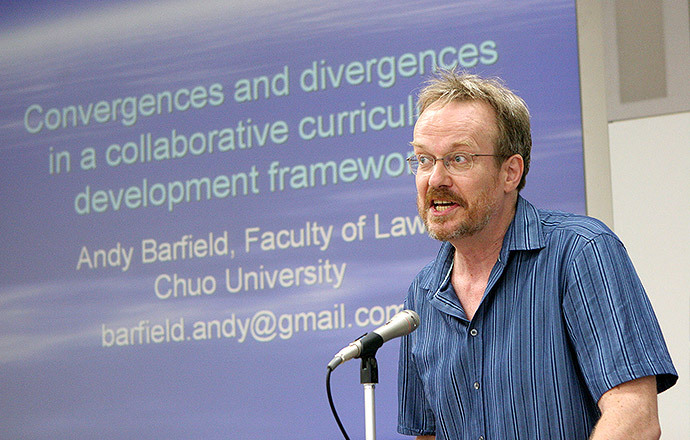 The Center for Global Interdisciplinary Courses (GIC Center) was established in November 2014 with the principle objective of developing interdisciplinary and international human resources. In the GIC courses, not only lectures, but all Q&A sessions, discussions, assignments, and examinations are conducted in English (or another foreign language). Approximately 80 original courses at the GIC Center and around 400 GIC accredited courses are offered across four campuses to all undergraduate students. Students who acquire 40 credits or more for GIC courses are awarded the GIC certificate of completion in recognition of their efforts. 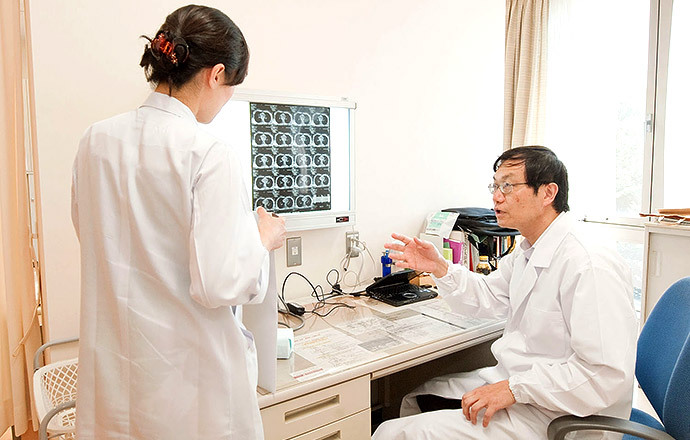 The Health Center performs research concerning the support and improvement of health for Keio students from elementary school to graduate school, as well as for staff members. Regarding children under 15, the center’s pediatricians are doing research into areas such as growth, obesity, anorexia nervosa, infectious diseases, and the prevention of lifestyle-related diseases. Regarding those over 15 and staff, the center’s internists are doing research on metabolic syndrome, insulin resistance, hypertension, diabetes mellitus, dislipidemia, bronchial asthma, advice on quitting smoking, and a new diagnostic method for tuberculosis. The center also has psychiatrists who are investigating mental health and maladjustment problems. The Institute for Advanced Biosciences (IAB) is a full-fledged institute for biological research located at the Tsuruoka Town Campus of Keio in Yamagata Prefecture. Having developed leading-edge biotechnologies, IAB researchers, among other things, measure and analyze the cellular and metabolic activities of human and other organisms including microbes, try to understand various cellular functions and physiological activities using computer simulations, and apply their findings to medical, environmental, and food sciences. The IAB is recognized as a world pioneer in integrated systems biology, a new approach to bioscience of the 21st century. The Institute for Economic Studies (IES) was established in April 2013 to support and accelerate cutting-edge economic research activities across all of Keio’s campuses. 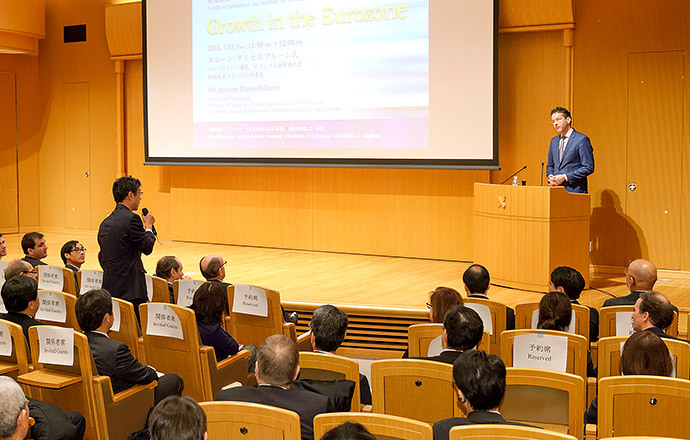 For this purpose, the IES acts as a gateway for economic research at Keio University by disseminating economic research results, collecting and sharing useful information and resources for researchers, facilitating active interactions between researchers within Keio, promoting joint research with both domestic and foreign institutions, and raising outside funding for economic research. Since its inception in 1946, Institute for Journalism, Media & Communication Studies (or MediaCom) has stood as the focal point for research, teaching and outreach on media, communication, and journalism. It has been a hub tor scholars and researchers at Keio University and from across the East Asian region who are devoted to the study of contemporary and historical media, communications, and journalism. It has nine core faculty members, many affiliated faculty of Keio University, as well as professional journalists and businesspersons. Students are required to participate in the institute’s Student Research Committee. Shido Bunko is a research institute for bibliography of oriental classics. 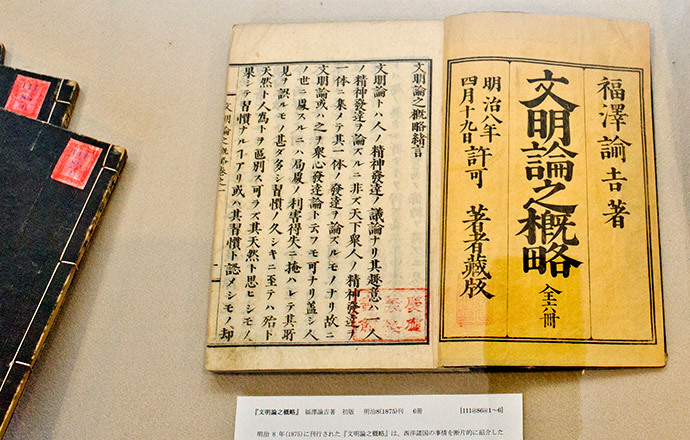 Based on a private library donated by Takakichi Aso, the institute holds about 170,000 books inlcuding Japanese classics, Chinese classics, and reference books and monographs. 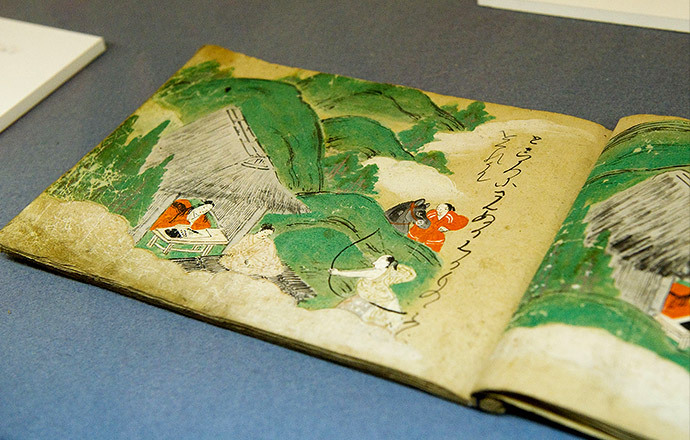 The insitute investigates Japanese and Chinese classical works stored in Japan and abroad, collects them by means of microfilming and digitizing, and inspects them using standard bibliographical methods. The Institute of Physical Education was established in 1961, as an organization for research and education associated with physical education and sports. It promotes extensive research into the mechanisms whereby physical activities contribute to mental and physical development and health, teaching theories related to physical education and sport science, and factors determining successful sports performance. 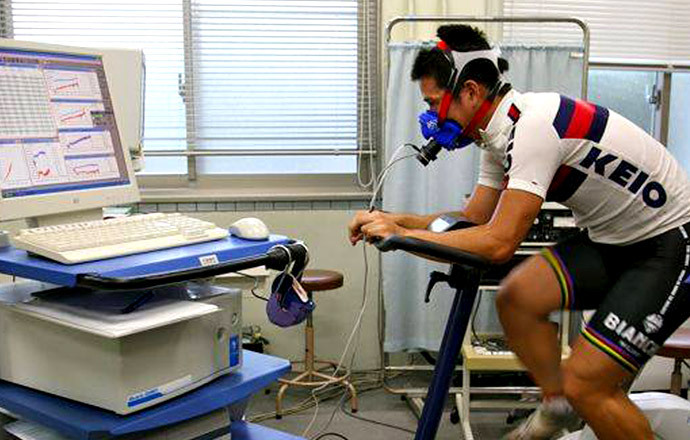 Research results are made available to students, faculty and student-athletes, as well as to residents of the Hiyoshi community through lectures and extension courses. 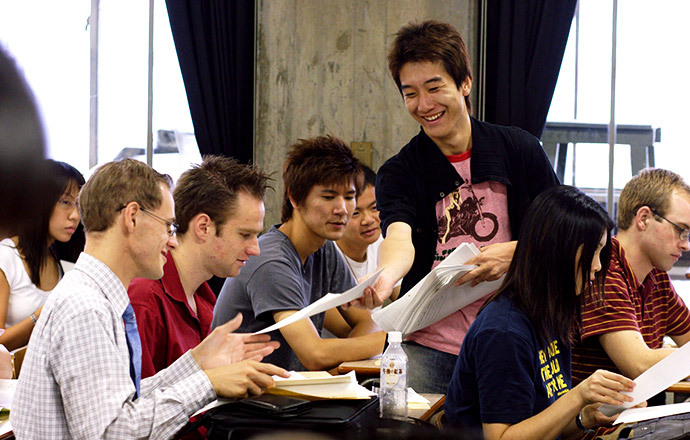 The International Center is Keio’s hub for international cross-cultural activities. 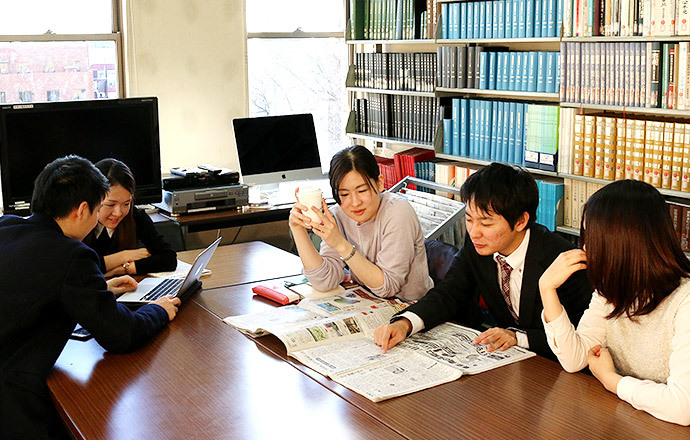 In addition to providing support for academic and daily life for foreign exchange students at Keio, the Center also assists Japanese students wishing to study abroad. It offers International Center Courses, given in English, that cover culture, history, politics, and economics. 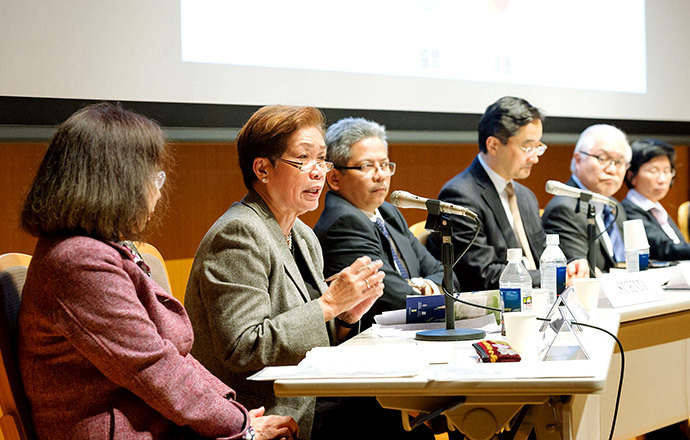 KARC was established to promote advanced and interdisciplinary research activities throughout Keio University. KARC has an active and flexible modus operandi towards the establishment, revision, and management of research centers. The aim is to stimulate research activities in diverse fields while improving efficiency and speed. 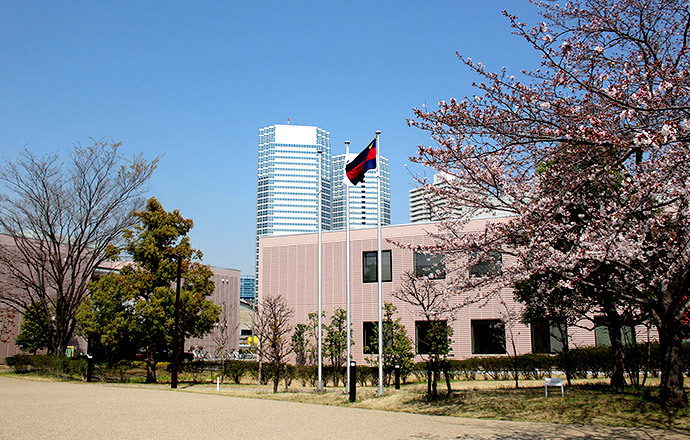 Established in 1959, the Keio Economic Observatory promotes theoretical and empirical research on economic and industrial conditions worldwide. The observatory consists of three sections: Economics, Law, and Behavioral Science. 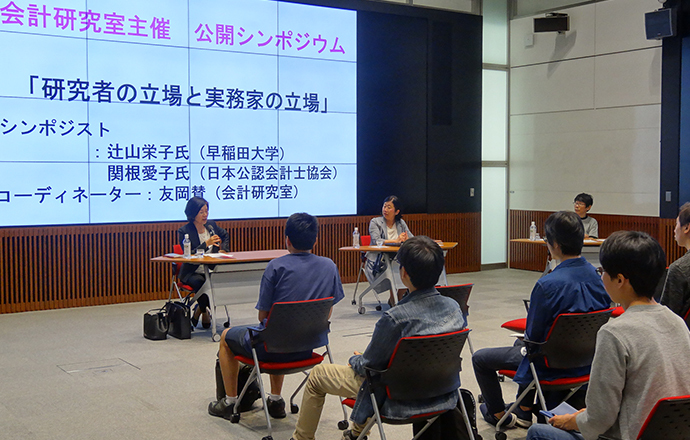 Faculty from a wide range of departments at Keio University participate in the Keio Economic Observatory's activities. The observatory has five principal tasks: 1) to undertake research of an academic or practical nature in order to increase understanding of the economy; 2) to conduct research at the behest of industrial or governmental groups; 3) to collect documents regarding industrial and labor issues for the purpose of making them accessible to researchers; 4) to publish the research findings of affiliated specialists; and 5) to organize seminars and conferences concerning economic, labor, and managerial challenges. 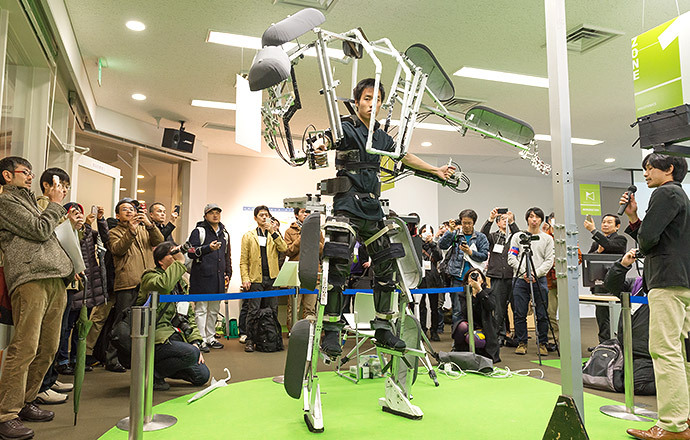 This institution was established as an organization responsible for advanced joint research among industry, government, and academia in cooperation with Kawasaki City. It is located at the Shin-Kawasaki Town Campus, which departs from conventional research and education and focuses instead on collaborative and interdisciplinary research. 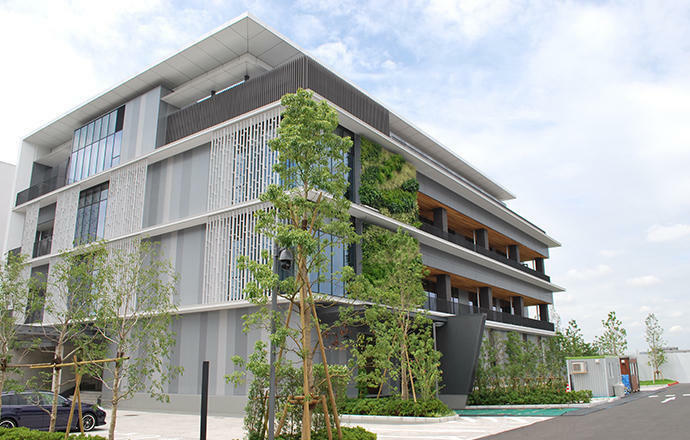 Keio University opened its Tonomachi Town Campus in April 2016 at Kawasaki King Skyfront, an innovation hub in Kawasaki that connects corporate and academic partners throughout science and industry. 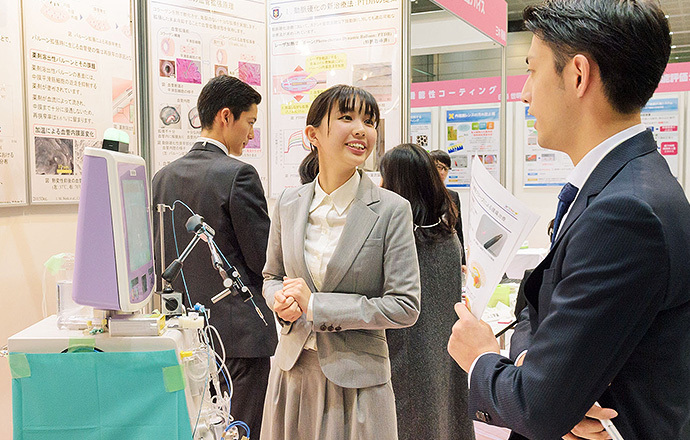 The Tonomachi Town Campus will focus on promoting both innovative transdisciplinary research as part of the Keio Longevity Initiative as well as the wellbeing research covered by the Japan Science and Technology Agency (JST)’s initiatives. KLL aims to play leading roles in the betterment of society by utilizing wide-ranging research activities that contribute to the sound development of the world’s science and technology fields, returning Keio-born science and technology research results to society, and fostering highly talented scientists and engineers. The Keio Institute of Cultural and Linguistic Studies operates independently from the individual faculties at Keio University. As an institute for purely humanistic studies, it is unique among Japanese private universities. 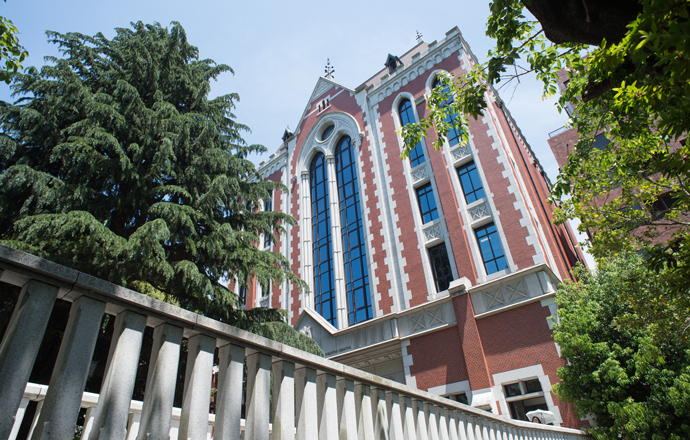 The central aim of the institute is to meet contemporary academic demands connected with the study of human language, through studies of the languages and cultures of various parts of the world in different periods of history. Although the main focus of these studies is on linguistic problems, the institute pursues its goals on an interdisciplinary level, independent from the language studies existing in other faculties. The institute was founded in 1984 as the Keio Center for Area Studies, as part of the project commemorating the 125th anniversary of the founding of Keio University. In 2003, it was renamed the Keio Institute of East Asian Studies. The institute enthusiastically promotes exchanges and joint projects with other research institutes, researchers, business people, journalists, etc., as an arena for conducting studies on a wide range of East Asian issues through interdisciplinary and comprehensive approaches. 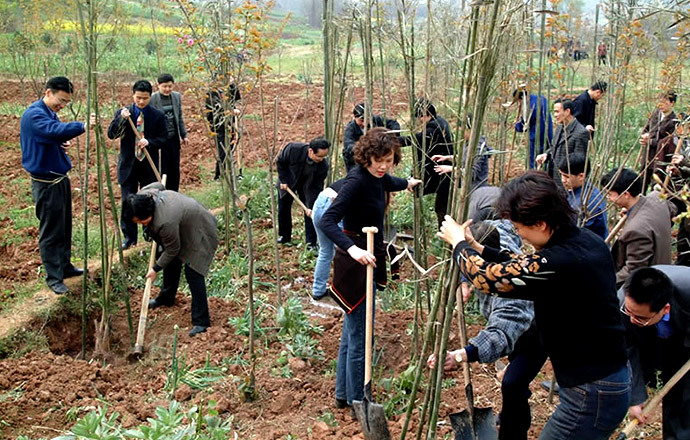 In 2007 and 2009, the Center for Contemporary Chinese Studies and the Center for Contemporary Korean Studies were established, respectively, in the institute. KILP is a research and education institute. 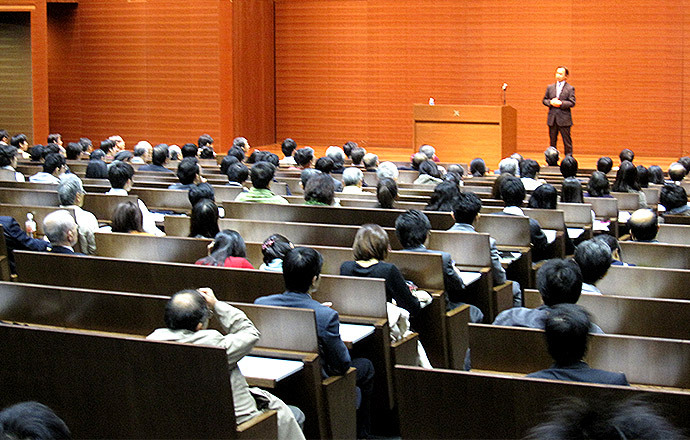 In addition to presenting its research findings to society, the institute also operates a broad range of activities such as holding lectures to cultivate basic and applied skills and introducing cutting-edge practices in its effort to support students who apply themselves and pursue the possibilities available at Keio. Registration is required for participation in KILP. 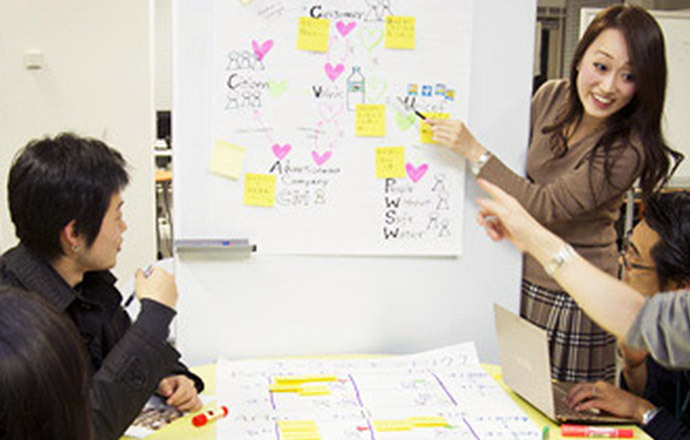 The Keio Media Design (KMD) Research Institute is dedicated to making real social and economic impact in addition to its academic contributions. Affiliated with the Graduate School of Media Design, the institute works with many domestic and international partners over a broad spectrum of research that spans security, IoT, service design, pop culture, creative education, sports, and other fields. The institute is also home to the International Virtual Reality Center (IVRC) and the Keio-NUS CUTE Center, a joint collaboration into interactive media research between Keio University and the National University of Singapore (NUS). The center has locations in Singapore and on Keio’s Hiyoshi Campus. 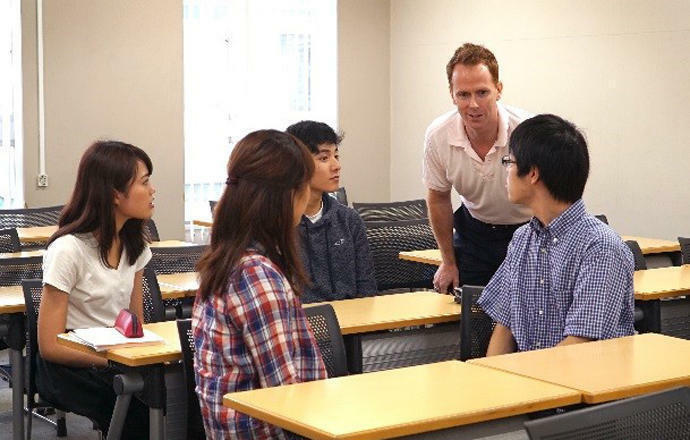 The Keio Research Center for Foreign Language Education is a research organization designed to support and enhance overall language education at Keio University and its affiliated schools. It engages in research on foreign language education and provides distinctive language courses and an environment that encourages and supports independent learning for students who are seeking to acquire a high level of language ability to compete on the global stage. 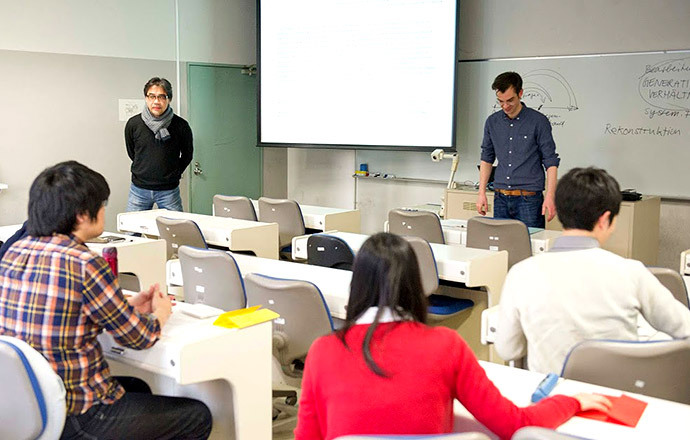 It also organizes English writing contests for Keio students as well as a variety of lectures and workshops that are open to the public, such as the Keio Gaigo courses. The Keio Research Center for the Liberal Arts was founded in 2002 in order to investigate for the ideal form and content of “liberal arts” that should be passed down to succeeding generations. Thus far, it has conducted various comprehensive research and analyses, suggested new systems and curricula based upon proposals resulting from the research, and examined the educational efficacy of those proposals through experimental classes and induction courses. The Keio Research Institute at SFC is as an affiliate research institute of the Graduate School of Media and Governance, the Graduate School of Health Management, the Faculty of Policy Management, the Faculty of Environment and Information Studies, and the Faculty of Nursing and Medical Care. The institute promotes research activities conducted under the collaboration between SFC and outside organizations relating to industries, government, NPOs, and regional communities. The aim of the institute is to conduct integrated, advanced, and interdisciplinary research while maintaining close coordination with the real world. Keio University Art Center (KUAC), founded in 1993 as the Research Center for the Arts and Arts Administration, Keio University (the English name was changed in late 2012), is the only research center at Keio that specializes in the arts. 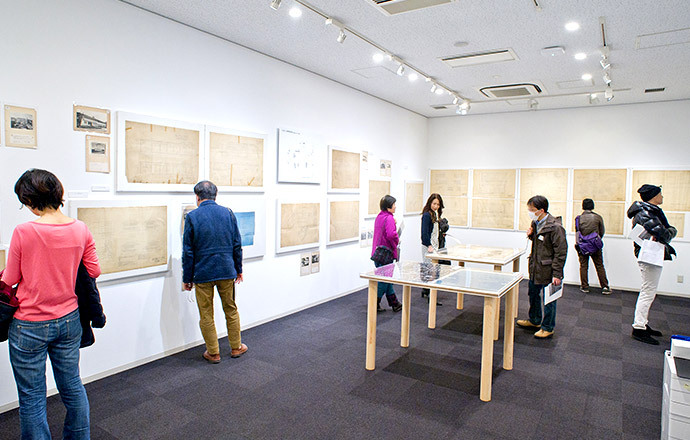 The center is focused on art in contemporary society through a wide range of activities such as organizing academic events (exhibitions, performances, and symposia), managing archives of art-related materials (mainly Japanese postwar avant-garde art), and providing access to its resources to researchers around the world. For research purposes, archival materials can be accessed by appointment. Keio University established the Keio Global Research Institute (KGRI) as a base to facilitate the further globalization of the university and become an international research university that can contribute to the betterment of society. 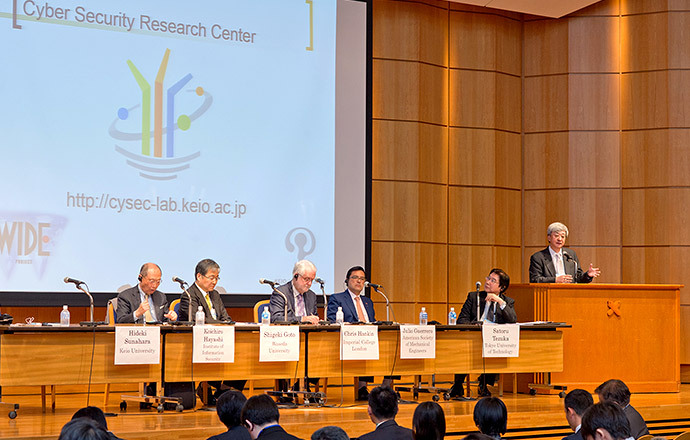 KGRI will collaborate closely with Keio's academics and researchers whose work is related to the three transdisciplinary initiatives of Longevity, Security, and Creativity, and extensively share these research findings with the international community. At the Research and Education Center for Natural Sciences, projects in research and education are actively pursued in diverse areas of natural sciences. The activities range widely from investigations of fundamental problems in basic science to applied research projects, sometimes in collaboration with outside companies. Such diversity in the areas of study, the directions and the sizes of its activities is perhaps the distinguishing character of the center. The Research and Education Center for Natural Sciences was founded in 2009 and is located on Keio University's Hiyoshi Campus. The center brings to fruition the research and education in natural sciences that have been conducted on the campus for over sixty years. 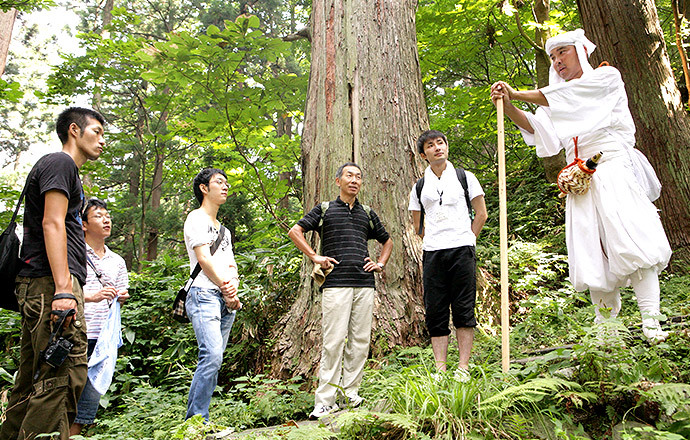 The center aims to make contributions to natural sciences and to Keio University through its diverse activities. 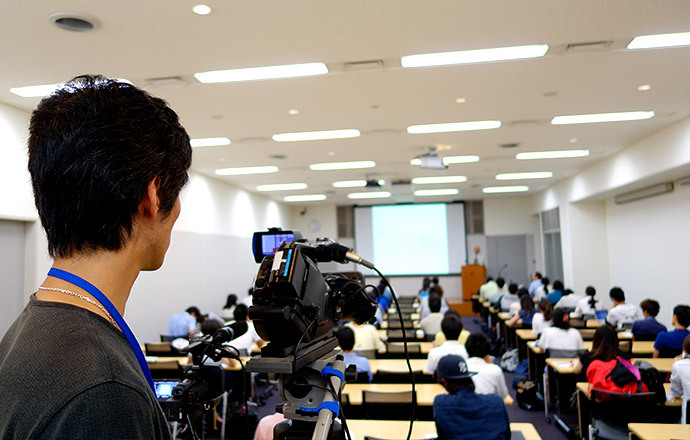 The Research Institute for Digital Media and Content (DMC), originally established in 2004 under a Japanese government-funded program, was reorganized as a university institute in 2010. DMC is engaged in the research and creation of contextual digital content, and promotes the creation of new digital research environments, the advancement of international distribution of cultural resources, and the cultivation of personnel resources in conjunction with other institutions. 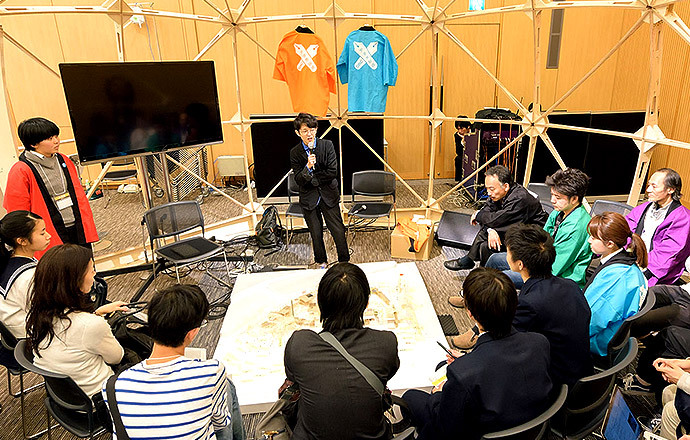 Through the DMC, Keio University aims to transform the way knowledge is provided to society as well as to support changing modes of intellectual interaction. Established in 1989, the Center aims to promote clinical practice and research in the field of sports medicine. 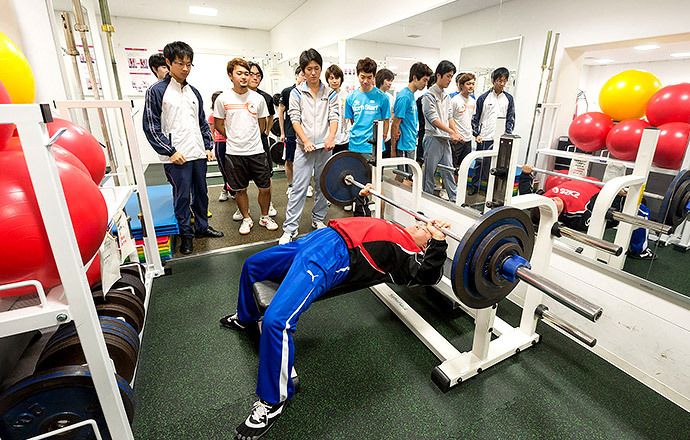 It provides medical support and education to student athletes (members of the Keio University Athletic Association) in order to enhance their athletic performance. It also provides pre-participation medical screening to a wide variety of athletes such as professional sumo wrestlers and Olympic and National Sports Festival athletes. The center also emphasizes clinical research entailing exercise and diet therapy for the prevention and treatment of chronic diseases such as obesity, hypertension, and diabetes. Annual seminars are open to public to promote physical activity in the general population. The System Design and Management Research Institute (SDM Research Institute) was established at the same time as the Graduate School of System Design and Management in 2008. Our purpose is to return to the general public the results of advanced, practical research and education so as to improve the understanding of system design and management in companies and other organizations and enhance their management capabilities. The institute's staff works in coordination with industry, government and academia under the founding principles of security, safety, and symbiosis, and engages in proactive research and education, taking a leading role in the rebuilding of social and technology systems based on global symbiosis and coexistence with different cultures and peoples. The Teacher Training Center acts as a Keio-wide magnet to attract educational and scholarly activities in all areas of school education. The Center provides a teacher-training course for college students who intend to be secondary school teachers, and has produced many competent teachers since its foundation in 1982. It is not only a “teachers’ college” but also a research institute for teacher education in Keio University; accordingly it carries out research projects regarding educational issues. In connection with these projects, open seminars are held every year. In addition, the center emphasizes recurrent education for in-service teachers, and therefore provides open seminars for teachers every summer and on other occasions of in-service training.